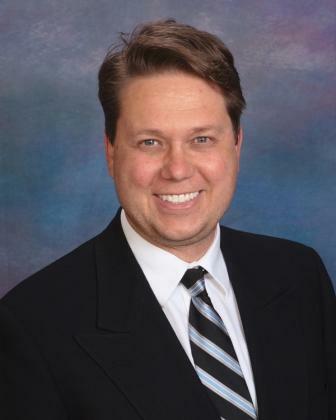 Dr. Larsen has been providing mercury-free family and implant dentistry for over 21 years and graduated from Loma Linda University School of Dentistry in 1994 with an award in Implantology. He was one of only two in his dental class that received such an award that year. Currently, he is the most experienced metal-free zirconia dental implant surgeon for the most advanced ceramic dental implant system currently available in all of central and northern California (according to the manufacturer data). He has helped develop a minimally invasive dental implant techniques that typically allows him to replace a single rooted- mildly infected, hopeless, dead and/or failed-infected root canal tooth in a single appointment (this assumes minimal gum disease and bone loss is present). He is a leader in the safe removal of toxic dental materials and in the assessment of dental materials. He has personally met with the FDA regarding the evaluation of cutting edge dental implant design, technology and discussed bio-compatibility results. His journey to become the kind of dentist he is today, began a few years after graduating from dental school, when he began to suffer from health disturbances. While investigating these disturbances, he became outraged when he discovered that he had unknowingly been poisoned by a dental material that he was told in dental school was perfectly safe! Further investigation caused him to realize that the only way to adequately contain this poison while removing it from the mouth was to create an enclosed negative-pressure suite for the health and safety of the patient, dental staff, doctor and for anyone else that may be anywhere in the office! While constructing the negative pressure suite in his own building, Dr. Larsen began questioning the safety of other dental materials. After extensive investigation, research and working with extremely advanced testing equipment (measures down to the atomic level), Dr. Larsen finally became the kind of dentist he is today. Dr. Larsen has personally witnessed the effects that a single non-compatible crown can have upon the body. In fact, a very close family member, suffered from a variety of daily strange neurological symptoms that only went away once the non-compatible crown was replaced with a truly biocompatible crown (the symptoms disappeared the same day the non-compatible crown was replaced and they never returned!). While many dentists "claim" to be a biological or holistic dentist, it is very suprising to learn that very few have assessed their currently used dental materials for neuro-toxicity. In fact, it may be even more suprising to learn, that Dr. Larsen is currently one of only an extremely small number of dentists that have personally tested dental materials and assessed in real time which materials are extremely compatible and well tolerated. Most dental materials and most techniques currently used by other so called biological and holistic dentists fail to pass Dr. Larsen's requirements when it comes to neurotoxicity and true biocompatibility! So, is Dr Larsen a biological dentist? A holistic dentist? Dr. Larsen believes truly non-toxic dentistry is the ultimate level of dentistry that all dentists (including holistic dentists and biological dentists) should strive to obtain. Only non-toxic dentistry fits with Dr. Larsen's practice philosophy of "Do No Harm".